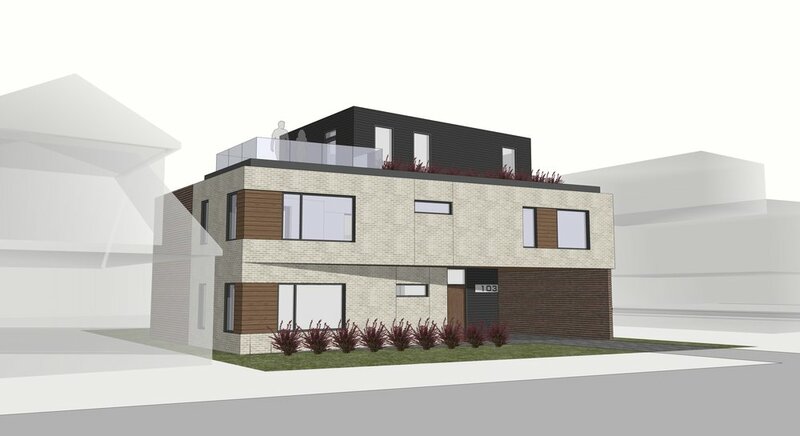 The proposed houses on Pequegnat Ave and Mansion St were designed concurrently to support the application of a corner lot severance that will legally establish two separate properties. 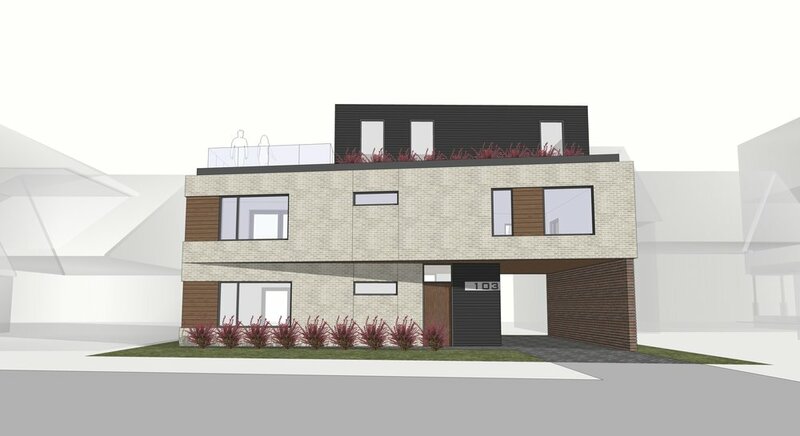 The ‘as-of-right’ design utilized for both houses demonstrate that the structures are able to comply with all existing zoning by-laws (such as required yard setbacks, height, parking etc.) even after the severance is complete. The two properties - which will essentially be half the size of the original - will be somewhat compact relative to their neighbors. However, the carefully considered design of the proposed houses will ensure that the established density of the neighborhood is respected and that the new owners will have increased access to outdoor space. This is primarily accomplished with multiple levels of rooftop terraces that are oriented and stepped to maximize daylight in the reduced backyards.